Cora Felton may look like everyone's favorite grandmother. 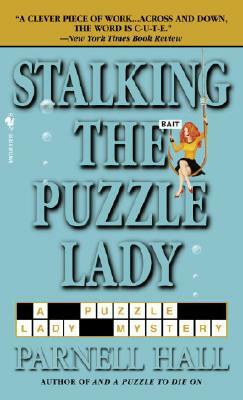 But when Bakerhaven's beloved Puzzle Lady grudgingly hits the road as part of a television promotion for new and improved Corn Toasties, everyone's got a surprise in store--including a deranged crossword puzzle fan. Someone's left a knife planted in Cora's front door with a crossword attached. But when Sherry solves the puzzle she can't decide whether the enigmatic message is a threat, a love note--or both. Now they're traveling the supermarkets of I-95 by bus with an abrasive director, an overambitious publicist, and two overgrown child-actors with very adult problems. Throw in a few uninvited guests, some surprise corpses, and Sherry's abusive ex-husband, and you don't need to be a puzzle expert to know this trip is going to be murder!